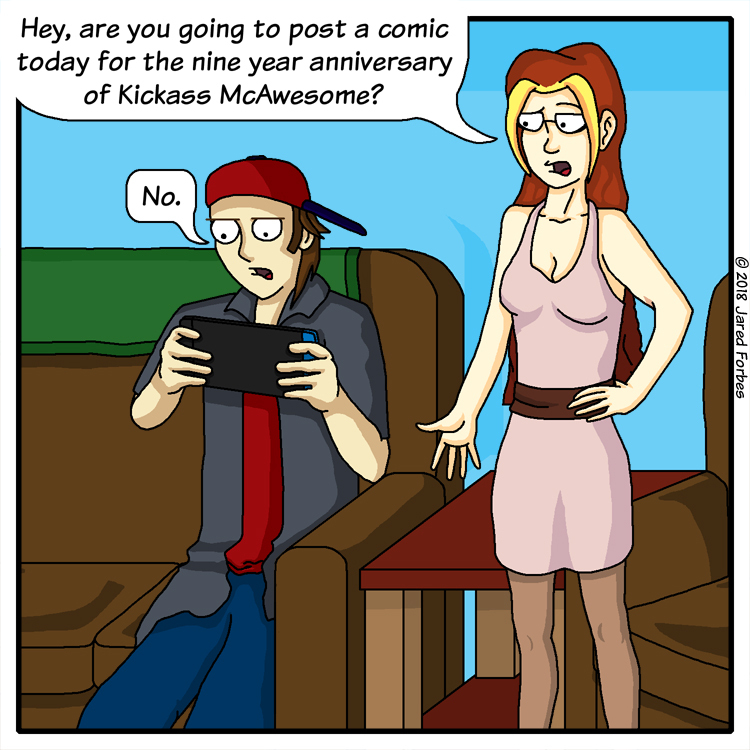 Nine years, I've been doing this for nine years, which is almost as many months since I've posted a comic to Kickass McAwesome. So yeah, why no comics in seven months. One word, cataracks. Three more words and a colon: still have them. Side note, I wrote a book! Then Christina drew it, then I colored it, and now you can buy it! Well you can pre-order it, which is kind of like future buying. But seriously, if you pre-order a book it'll really help out.